Hey y’all 🙂 I can’t believe it’s already Thursday! This week has flown by, but I’m not complaining because that means the real weekend is almost here! I’m currently enjoying my second day off of work this week. I worked Monday and Tuesday, and work Friday, so yesterday and today have been spent doing a ton of stuff, believe it or not. What I’ve been doing is irrelevant right now, because I want to tell you why I KNOW I’m a princess! If you know me, then you’ve heard me tell you that I’m a princess. There is no denying the fact that I tell people I’m a princess, that I act like a princess, and that I make it known that I should be treated like a princess. 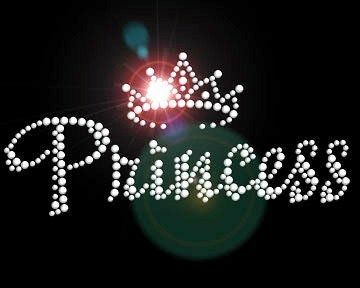 Some people scoff, others just pay no mind, and some (the special few) believe that I am a princess and that they are a princess too! What a strong desire we have to be the heroes and heroines of our own stories; to triumph over adversity; to experience life in all its beauty; and, in the end, to live happily ever after? I AM A PRINCESS, destined to become a queen. My own wondrous story has already begun. My “once upon a time” is now. Whether you like it or not, you are a princess. You are a princess with far more possibility and potential and importance than most of the princessess in stories and in real life, because our father, our king, rules over the whole world and earth. He knows more about us than we know about ourselves, and He loves US. So what does being God’s princess mean? From their birth, all princesses know they’re not like everybody else. They live in a huge castle while the rest of the common people live in their little houses. Everyone knows their name. But the biggest difference is their purpose. Princesses are taught from the beginning that they are set aside. They have a special purpose in life! They have a lot of responsibility, and they spend their lives preparing for it. Taking lessons, observing officials, helping with business sometimes, these all help princesses prepare for the day when they will rule the kingdom. We’re all kind of like that. From the day we are born again into the King’s family, we’re set aside for a special purpose and a special time. We live to prepare ourselves (and others) for the day when the King will come back and rule the kingdom again. A lot of us have forgotten that. We’ve forgotten that we’re any different from the people around us. Instead of remembering that we’ve been set apart from this world and it’s values, we’ve been caught and dragged down right with them. Instead of keeping our eyes on the coming kingdom and listening to our Heavenly Father, we’ve been distracted by the temptations the world offers, the ones that seem so much better than whatever He has to offer us. For now. I can only pray that YOU recognize your worth; you are royalty. And that you know that you are born again with a purpose. God has opened my eyes, my heart, and my heart to embrace my destiny- I AM A PRINCESS. What are your thoughts on this topic? Do you believe that you have been destined to royalty through the sacrifice and love of Jesus Christ and through God the Father?